Around 2,000 people from the Christian ethnic Kachin community are in need of urgent medical attention after fleeing to the jungle in order to escape clashes between Kachin guerrillas and Myanmar’s security forces. Figures including Baptist community leader Rev. Mung Dan claim that thousands of civilians, including pregnant women and children, remain trapped without access to food or medicine, while others injured by the conflict are in need of medical attention. Non-governmental organizations (NGOs) have also sent open letters to the Kachin State Minister asking for permission to enter the area and provide humanitarian assistance, although it has not yet been granted. 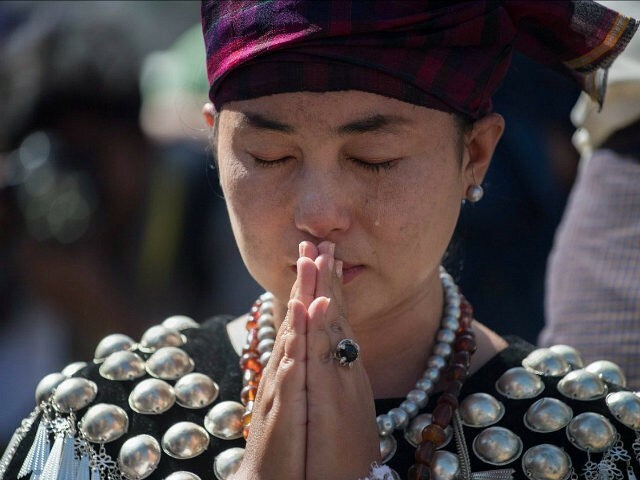 The thousands of displaced Christians are a result of conflict between Kachin’s Independence Army and the Myanmar government, which has escalated in recent months as the guerrilla forces attempt to reclaim territory. Despite having a peace agreement in place for 17 years, conflict resumed in 2011 and fighting has become particularly fierce of late. “Since [2011,] the conflict has extended to northern Shan State and to other ethnic armed groups operating in the area,” it states. In recent years, the Myanmar government has blocked hundreds of charities, NGOs, and international bodies such as the United Nations from providing humanitarian assistance to displaced civilians, amid a series of conflicts that have left up to 100,000 people displaced. The major conflict in Myanmar is currently occurring between the government’s ethnic cleansing of Rohingya Muslims, who have fled the country’s northern Rakhine province by the hundreds of thousands amid an alleged crackdown on Islamic militants. As a result, thousands of Rohingya are now living in refugee camps in neighboring Bangladesh, with little to no prospect of returning home. The crisis has severely damaged the reputation of Burmese President Aung San Suu Kyi, who was once awarded the Nobel Peace Prize for her fight for democracy.